A reform to the inflation-proofing of pensions is set to reduce the deficit of the UK's largest private sector scheme by billions of pounds. BT said that £2.9bn would be knocked off the scheme's deficit because of a shift in the measure of inflation used in pension calculations. The deficit, which recently stood at £9bn, will be cut by using the Consumer Prices Index to uprate payments. This means those who have retired will see lower payments than expected. A recent survey said there was little public understanding of the change. State and public pension schemes are swapping from using the Retail Prices Index (RPI) to the slower growing Consumer Prices Index (CPI) as the inflation measure applied when calculating the annual rise of pensions in payment. The government also wants private sector pension schemes to do the same. BT, which has a pension scheme membership of 331,000, said that it could automatically alter two sections of its final-salary scheme, which will affect 80% of the membership. CPI rather than RPI will now be used for the uprating of both pensions in payment and pensions in deferment. It said the move would reduce the deficit from £7.9bn to £5.2bn. Initially this will hit 175,000 BT pensioners who were members of two schemes dating back before 1986 and 91,000 members with deferred pensions. BT said it would also implement the same changes for deferred members of Section C of its pension scheme which covers members who joined between April 1986 and March 2001. But the company is still looking into whether or not the rules allow pensions in payment for this group to be changed as well. In February, the company agreed to pay off the deficit in the scheme over 17 years. Previously BT had agreed to pay an extra £525m into the scheme in 2009, 2010 and 2011, as part of an earlier deficit recovery plan. It agreed in February to continue for a further 14 years, starting with £583m in 2012 and rising by 3% a year thereafter. BT said that the inflation switch would have "no impact" on these plans, and that it would only mean that the deficit would be paid off quicker than previously thought. The Pensions Regulator, which said it had "substantial concerns" about the recovery plan, is still reviewing BT's proposals to tackle the pension scheme deficit. BT is one of the first private sector businesses to outline the effect of the inflation measure swap, which will also affect everyone with state or public sector pensions. It marks a significant change in pensions policy, but a recent survey for pension consultants Aon Hewitt suggests only a minority of adults appreciate how much this will devalue their pensions. CPI generally rises each year by about 0.7 percentage points less than RPI. Thus pensions are likely to grow more slowly in future than would otherwise have been the case. Although the government wants all private sector pension schemes make the change, many will be prevented from doing so because the use of RPI is written into their rules. Tom McPhail, of investment advisers Hargreaves Lansdown, described the move as a "subtle and effective" way of cutting a pension scheme's deficit. He said that, in the long-term, the change would have a significant effect on pensioners' income. He added that it was inevitable that other companies would follow suit. 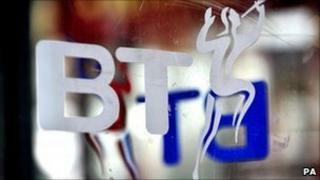 The biggest union representing BT workers reacted angrily to the change. Andy Kerr, general secretary of the Communication Workers' Union (CWU), said: "This is an attack on the rights of responsible and hard working BT staff both past and present. CPI linking will mean smaller pension increases for many hard-pressed pensioners and will lead to the pension falling below the real cost of living. "CWU agreed in 2008 to change benefit structures in order to keep the scheme sustainable now our members are being hit again. "We fear that workers in other ex-public sector companies will also see their pensions reduced as a result of this government decision."